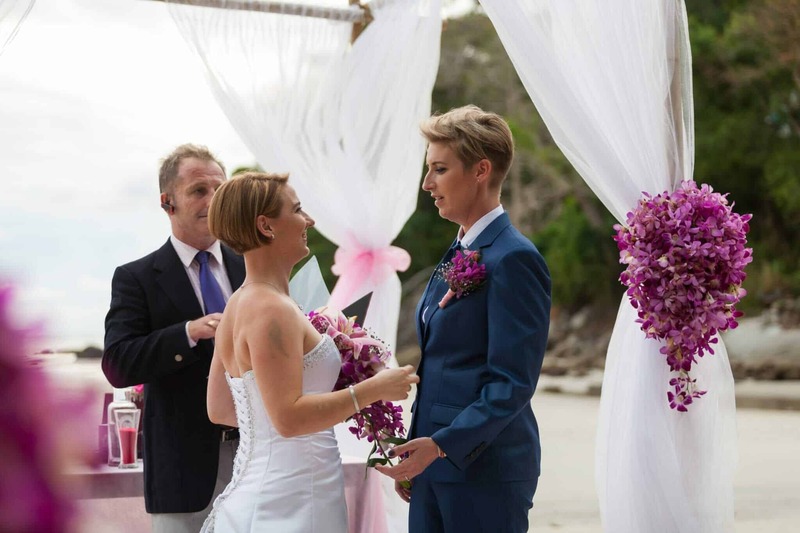 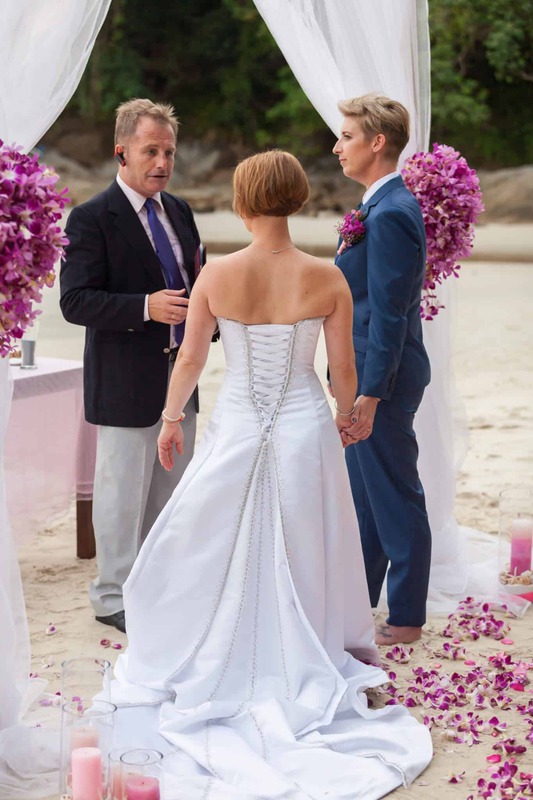 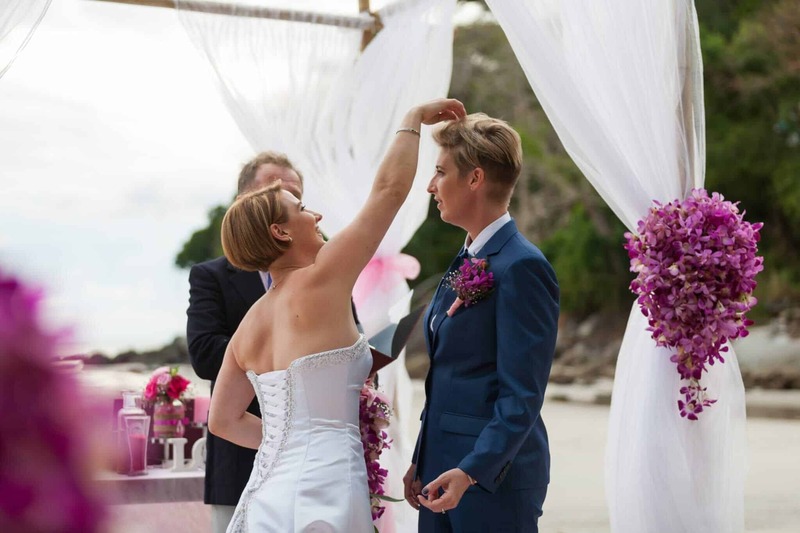 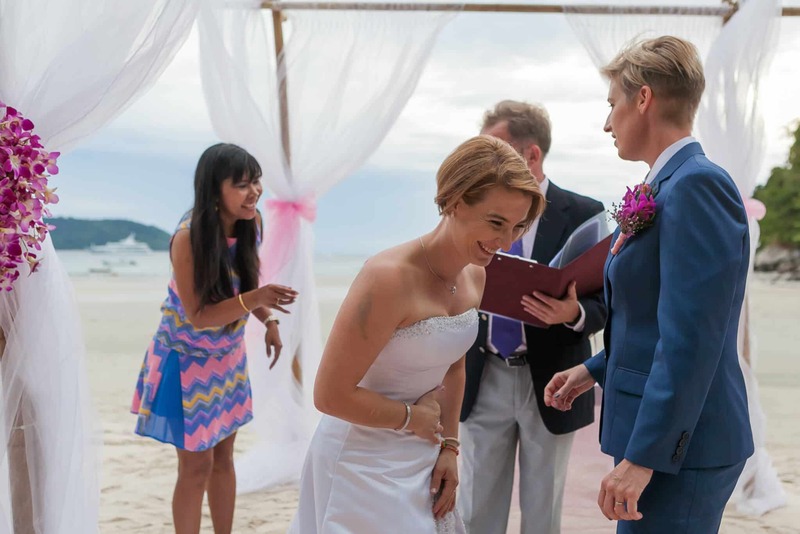 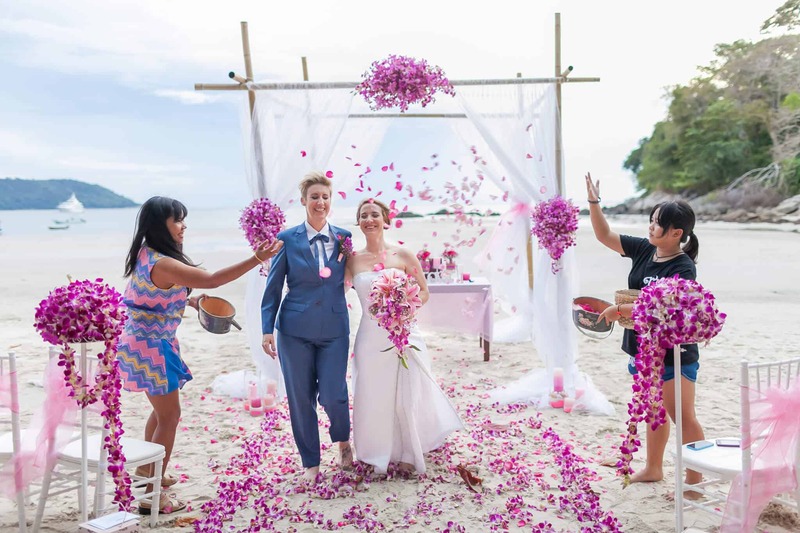 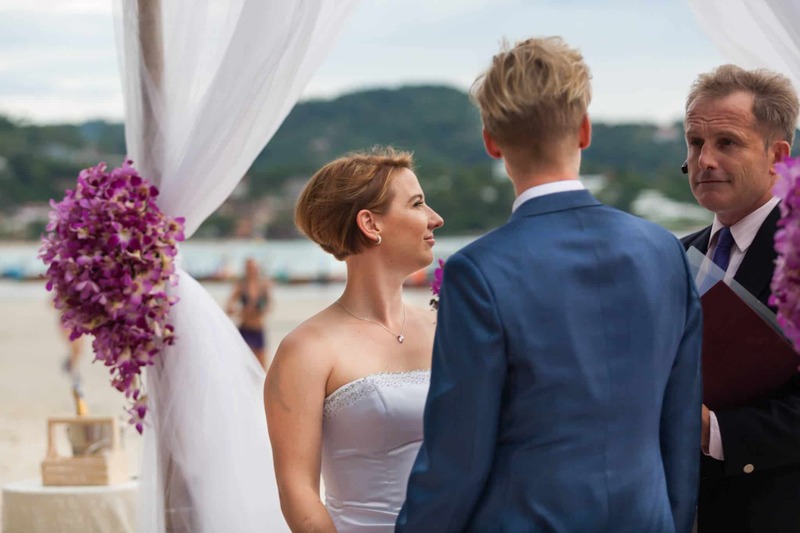 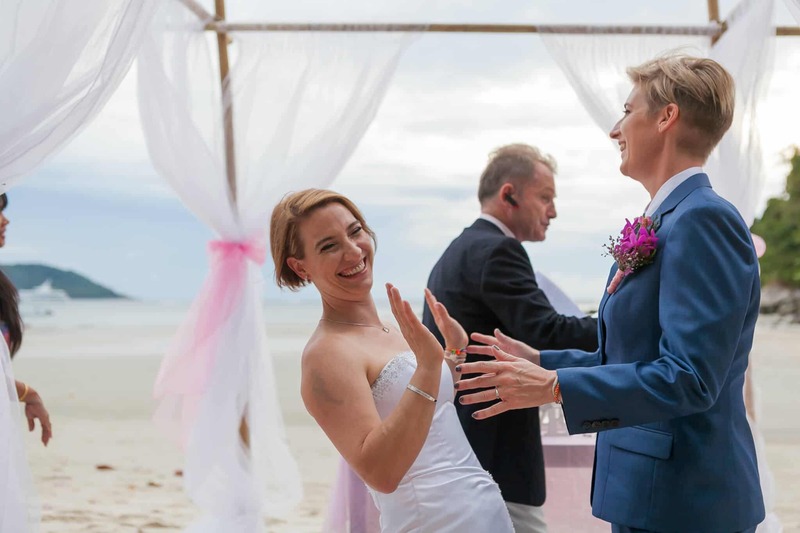 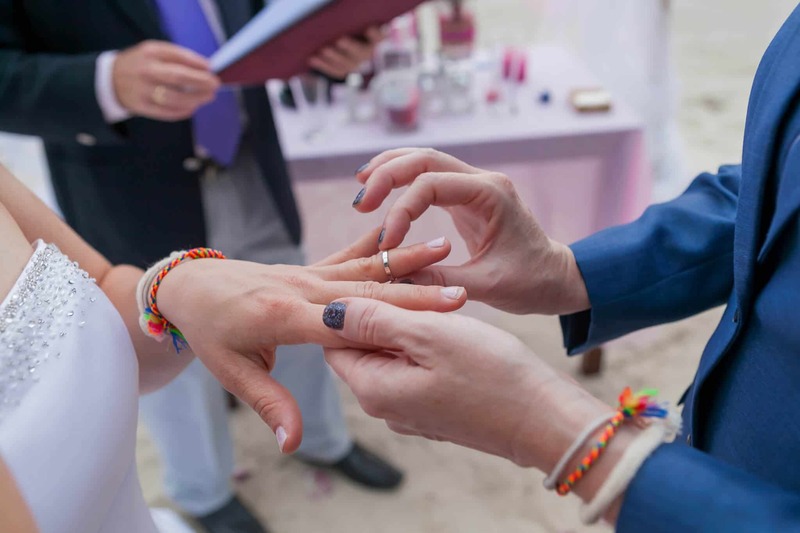 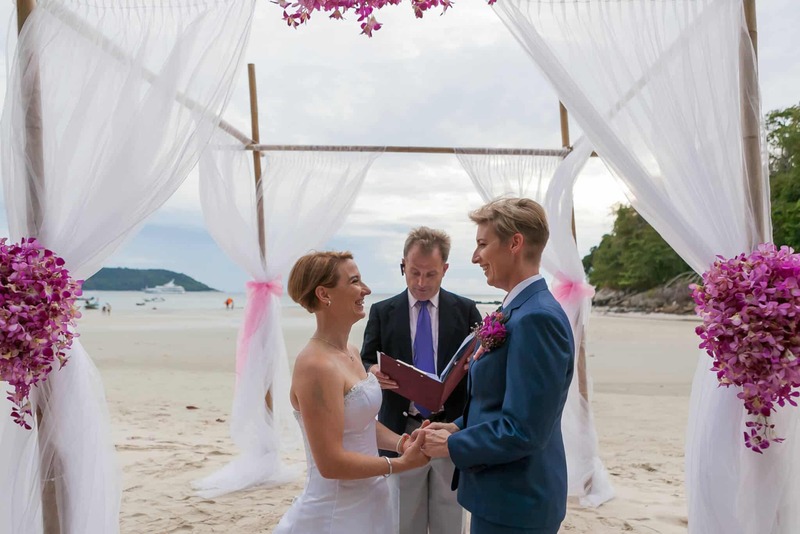 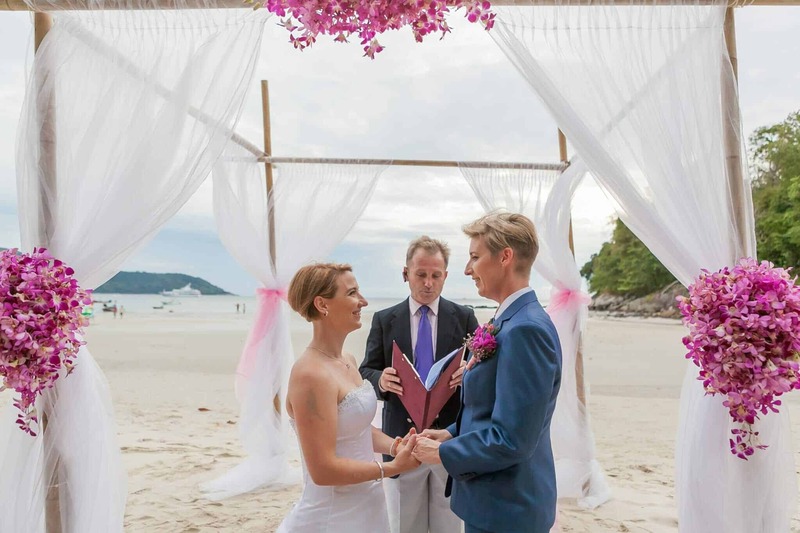 Conducting a Wedding Ceremony as a Phuket Beach Wedding Celebrant is a wonderful experience as each time it is totally different. 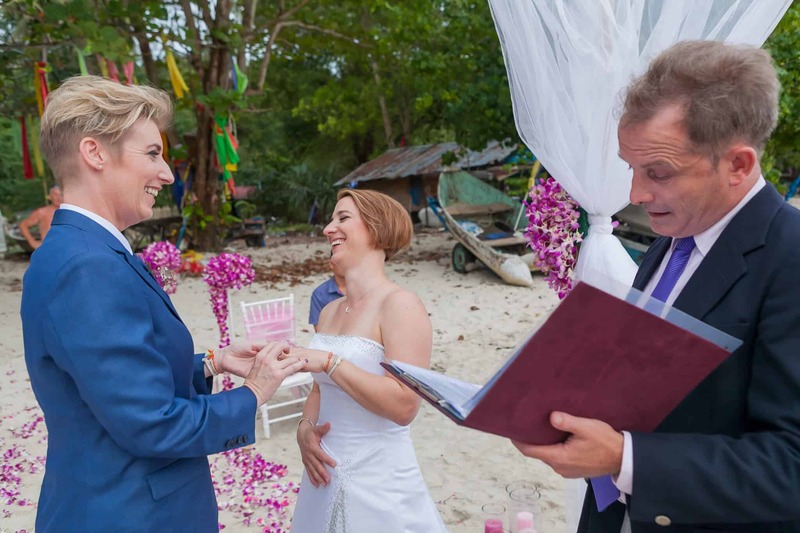 On this day, I had the privilege and honour to officiate over the marriage of Laura and Marie. 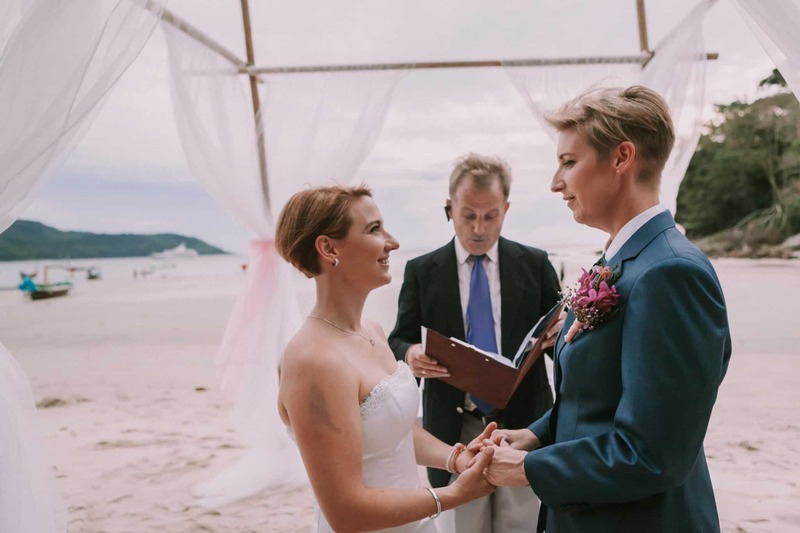 Their day started with a Thai Monks Wedding Blessing in Chalong, Phuket followed by their beautiful Wedding Ceremony on Kata Beach. 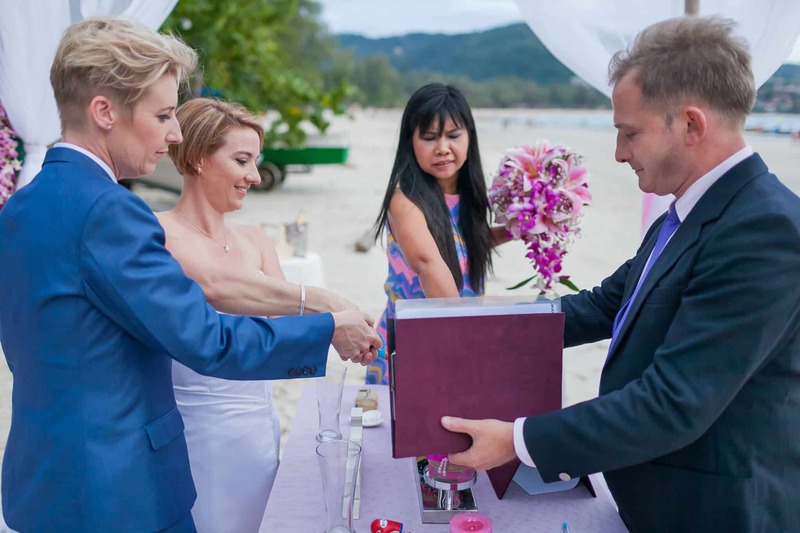 The ceremony was small but we were all were involved, including the Wedding Planners and it turned out to be a great Wedding Ceremony. 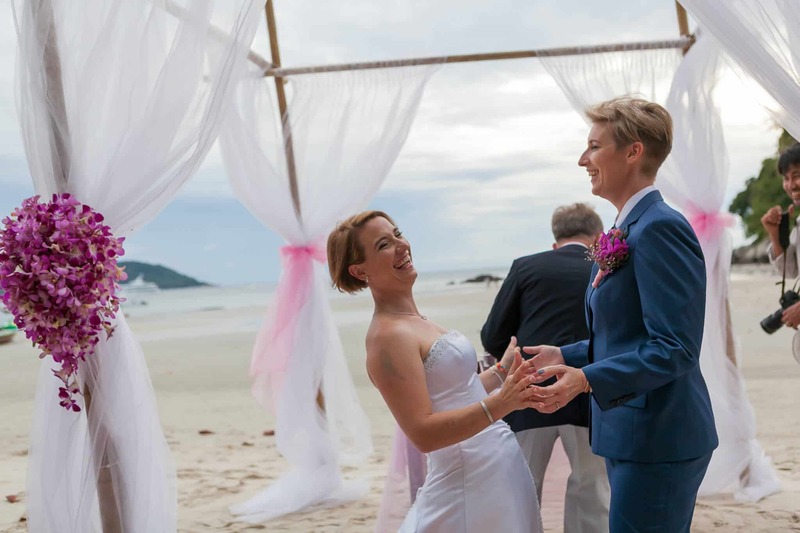 The Wedding setup up was beautiful and there was a small whirlwind that hit the beach just before the arrival of Marie and Laura: it almost destroyed the Ceremony table but this was quickly fixed just in time. 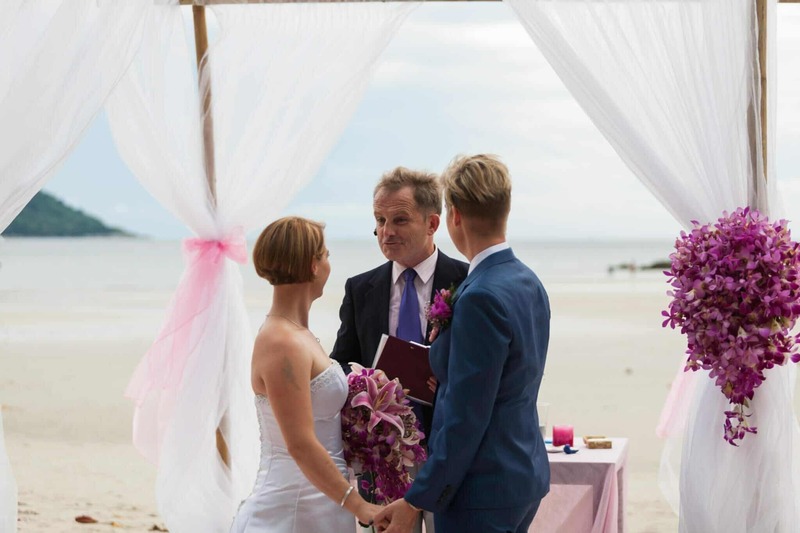 The excitement of having a wedding on a beautiful beach in Thailand at Sunset. 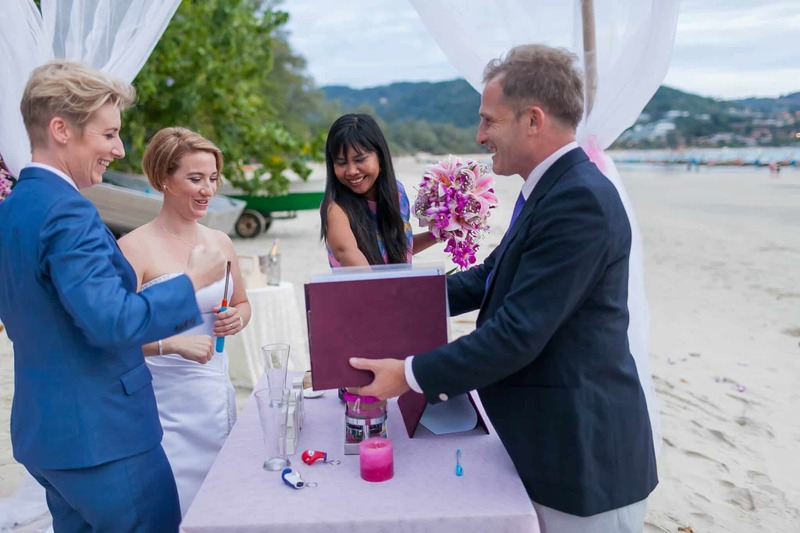 After the Wedding ceremony, the happy couple stayed on the beach and enjoyed a romantic dinner for 2 until late evening under a fairy light lit gazebo and clear Phuket night sky. 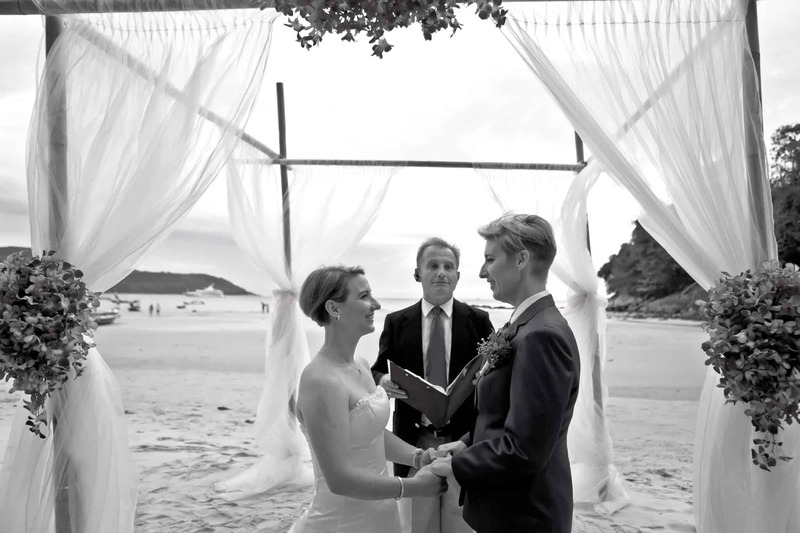 Thank you, Marie and Laura, for trusting me with your special day.